^ "Chapter 2". National Archives. 2016-08-15. Retrieved 2018-05-23. ^ Monroe, Monte L. (January–February 2012). "Waggoner Carr investigates the JFK assassination". Texas Techsan. Lubbock: Texas Tech Alumni Association: 23–31. 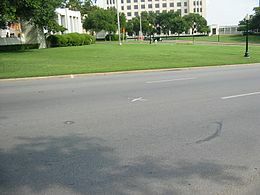 Texas Attorney General Waggoner Carr attempted a state-level investigation but received no cooperation from the Warren Commission. In the end, Carr generally endorsed the Warren Commission's findings. ^ Bagdikian, Ben H. (December 14, 1963). Blair Jr., Clay, ed. "The Assassin". The Saturday Evening Post. 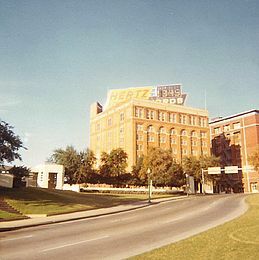 Philadelphia, PA. 19105: The Curtis Publishing Company (44): 26. ^ Schonfeld, Maurice W. (July–August 1975). "The shadow of a gunman". Columbia Journalism Review. Retrieved November 27, 2012. ^ "Newly released film of JFK before assassination". MSNBC. NBC News. Associated Press. 19 February 2007. Retrieved 1 May 2017. ^ "Assassination Records Review Board: Unlocking the Government's Secret Files on the Murder of a President". Mcadams.posc.mu.edu. Retrieved 2010-07-31. ^ Bender, Bryan (25 Nov 2013). 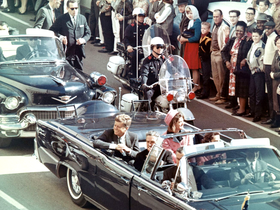 "Troves of files on JFK assassination remain secret". Boston Globe. Retrieved 12 February 2015. ^ Moser, Bob (2010-08-04). "Welcome to Texas, Mr. Obama". The Texas Observer. Retrieved 2018-01-12.